Click to view short video of June 30th - I Believe In America! 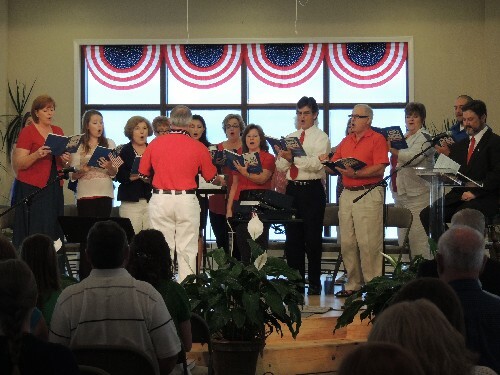 RBBC hosted this Community Choir patriotic presentation on June 30, 2013. The presentation was a smash hit in the area, demanding an encore performance on Sunday, July 7! The Choir was amazing, the leadership was inspired, and the congregation was the recipient of a 1st class show of Patriotism!